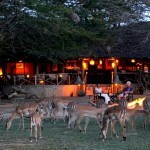 Kulalu Camp is located close to the banks of the Galana River. 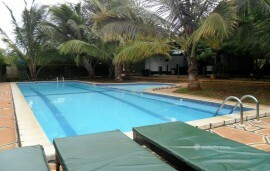 Kulalu Camp is 110 kilometers west of the coastal towns of Malindi and Watamu that are only two hours drive away. The camp is environmentally friendly since it is being powered by solar panels. Food at Kulalu is absolutely delicious and incredible considering its quality preparation. 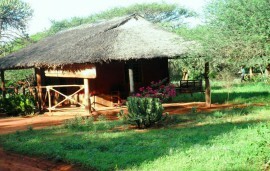 Kulalu camp is set in an exclusive area that is nature friendly. The camp consists of five spacious tents and each thoughtfully positioned to ensure a breathtaking view of the Galana River. All the tents are en suite with flushing toilet and a safari shower.The camp is environmentally friendly, being powered by solar panels. 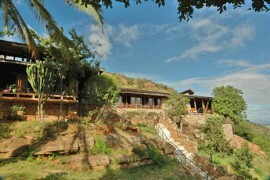 The dining and lounge area is makuti thatched building providing a safe and comfortable place to quietly watch the game and bird activity along the river bank or to spend the hot afternoons with a cool drink and a book.